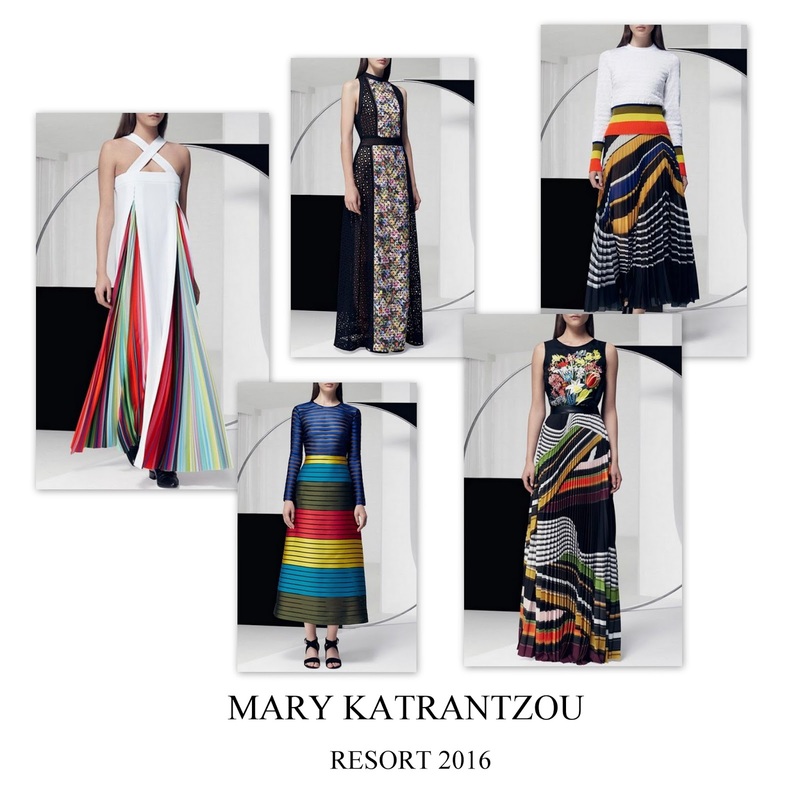 Set to impress, Mary Katrantzou is the designer who always made a statement. Recognized as the queen of digital print, for her Resort 2016 she delivered once again. Add in your fashion vocabulary: kaleidoscopic stripes, botanical drawings from the eary 20th-century seed packets and broderie anglaise.